Apartment hunting can be overwhelming, often compared to a marathon and a sprint at the same time. A successful transaction will require the stamina and endurance to visit possibly dozens of addresses and listings to find the perfect home, while also requiring enough decisiveness and organization to quickly secure a discovered rare gem before losing it to the competition. We have built a platform and service that modernizes many aspects of real estate transactions, beginning with the home search. For those who are having some trouble deciding what to write in the essays, we can suggest a few ideas as starting points. However, feel free to answer the questions as you like, and we of course welcome creative responses! Why do you feel your college was a good fit for you given the changing world? As you pursue the next steps in your career, how do you balance relocating for a dream job versus living in your desired area? Will location be more or less important in the future? What are some of the most important extracurricular activities that your school is able to help you foster? Have you ever examined a seemingly simple problem such as apartment hunting, or doing tedious errands, and figured out a way to drastically make the process more efficient or enjoyable? We live in a world with increasingly more data at our fingertips. What types of interesting data would you love to see to transform or challenge our current assumptions? This scholarship includes an optional internship, if it coincides appropriately with your degree program. What feature do you find missing in the current RentHop apartment search engine? Do we adequately service your desired city? Send an essay under 500 words to college-scholarship@renthop.com. You must be a current student in an eligible undergraduate program or a graduating high school senior, working towards a bachelors degree or associates degree. Our story begins in 2008 when the two co-founders, Lawrence and Lee, each indepedently had very bad apartment search experiences in NYC. They had only been out of college a few years and wondered why in this day and age, technology had not yet solved or at least greatly reduced the pain of finding a rental home. In Lee's case, he called a broker advertising a rent-stabilized apartment on Craigslist. Little did he know he would eventually agree to spend all day with the agent looking at a half dozen apartments, none of which were as attractive as the originally advertised one, and none that were actually rent-stabilized. Within a year of moving to NYC, Lee eventually solved his personal rental problem permanently: he purchased a co-op apartment near Bryant Park where he still lives to this day! Lawrence was fortunate enough to room with some close college friends during his early years in Manhattan. After a short stint downtown in the Financial District, he shared a condo in Midtown Manhattan with a fellow University of Pennsylvania alumni. Eventually, it was time for Lawrence to find his own studio. However, despite knowing exactly where in the city he wanted to live, he still jumped through far too many hoops only to move one block from where he had lived previously. Like Lee, he kept wondering at every step along the way why things were so painful. Apartment hunting is stressful and overwhelming. We know finding a new home is definitely not about looking at every possible advertised apartment. It's about looking at the best apartments that fit your criteria. After all, you will eventually only pick one of them. The game is about quality over quantity. Using quantitative algorithms and nerdy technology, we created RentHop, a site that sorts listings by quality. We know you don't want to see listings without photos or waste time with unresponsive landlords and brokers. Even today, most other sites sort by price or the posting date. RentHop relies on our HopScore, a sophisticated set of algorithms that ranks apartment listings by quality, so only the best rise to the top. We currently allow searching for NYC apartments (including no fee apartments), Boston apartments, Chicago apartments, along with most major U.S. cities. Visit RentHop.com for more information about our search product. I am going to be a sophomore studying Biomedical Engineering at UCLA this fall. Whether I pursue a medical degree or become an engineer, I hope to work in the health field some day. Outside of academics, I spend most of my time rowing as a member of UCLA men's crew team. Neha Nagabothu is currently a senior at Westview High School in Portland, Oregon and will be attending UC Berkeley as a freshman this fall, studying Business and Industrial Engineering & Operations Research. She has been recognized internationally for her work in robotics and business and hopes to complete a double major in technology and business in college. In her free time, she loves to dance, listen to music, cook, read, listen to TED talks, learn new languages, and make puns. Kevin is currently a first year student at the University of Cincinnati majoring in Chemical Engineering on a pre-law tract. He hopes to pursue a career in intellectual property law, specifically as a patent attorney. In the future, Kevin would love to live and work in Charlotte, North Carolina. Alexandra is a nursing student at the University of Washington. She is interested in educating others about advance care planning and hopes to work in an intensive care unit after graduation. Alejandra is from Monterrey, Mexico, where she got a technical "bachillerato" as a systems analyst in high school. She will be going to Washington to study an undergraduate degree in Computer Science and Game Design in Digipen Institute of Technology. She loves South Korea and Japan; in the future, Alejandra would like to work in Nintendo. Marta is an incoming freshman at Cornell University, where she'll be studying mathematics and music. Marta plans to go on to become a mathematics professor. She grew up in rural eastern Oregon and spent one year in high school studying abroad in Germany. She has a passion for sharing and gaining knowledge, especially everything having to do with math, physics, and classical music, and spends her free time hiking, reading, and practicing piano and flute. One day Brianna hopes to use her experiences and education to better the learning of our future generations. Rebekah will be attending Valdosta State University in August 2016 to pursue a degree in music performance and minor in musical theater. Music is a major part of her life, and her dream is to one day appear on Broadway. She hopes to one day make New York City her home. Karin was born and raised in Alabama by her mother and father, along with three older siblings. She was taught to not confine herself to standards- that she was free to be whatever she should please as long as she puts in the work and the effort. Karin also grew up with interest in the human body, helping people, writing poetry, and anything artistic. Nathan is currently a high school senior at Wellesley High School and will be attending the University of Pennsylvania as an economics major in the fall. 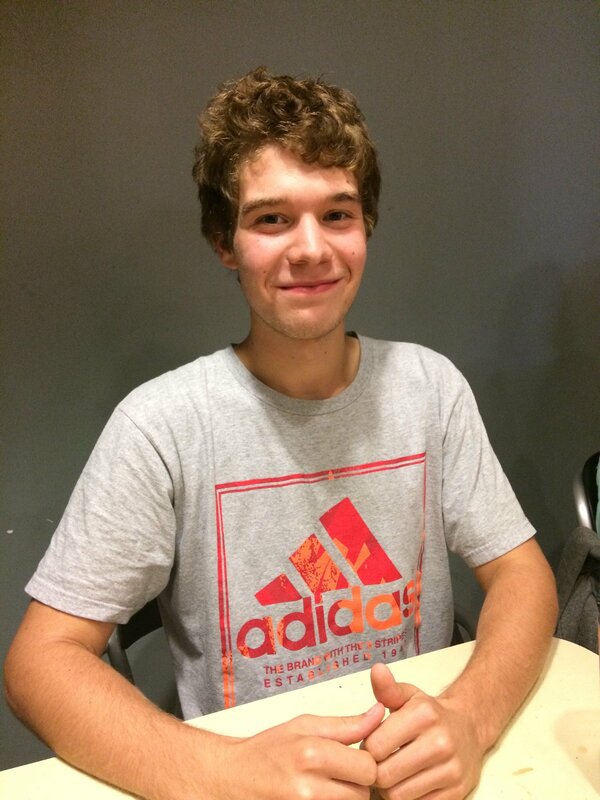 Nathan strives to make a difference in his community by advocating for mental health awareness and organizing workshops about depression for teens. 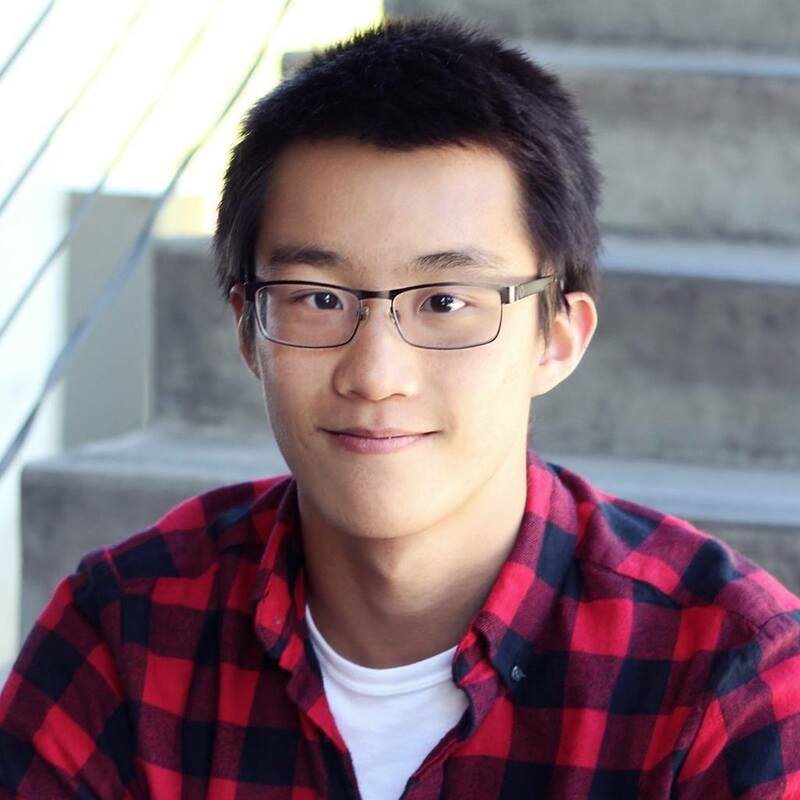 In college, Nathan will be exploring the intersection of education and entrepreneurship through running startups and conducting research and playing music on the cello, piano, and guitar. 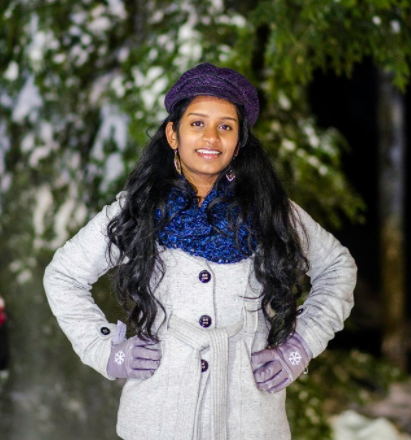 Adila is a sophomore at Eastern Mennonite University (EMU) pursuing her undergraduate degree in digital media. She was born in Kabul and grew up as a refugee in Pakistan. Adila came to the United States from Kabul, Afghanistan to attend university and plans to return there after she graduates. Her dream is that within five years of graduating she will be in Afghanistan where she'll work as a professional designer and inspire other young Afghan women. Michelle Huang is a first year at Columbia University studying Art History and Financial Economics. She is currently a Product Development Associate at Spectator Publishing Company which produces products to streamline Columbia life such as multiple journalism sites, a registration website, a real-time housing lottery website, an app that acts as a digital punchcard for restaurants in the area, an orientation guide, and more.. In her free time, she enjoys ice skating, running, and painting. James Warlick and his wife are both current students attending Texas A&M Commerce. James is studying Computer Science and Mathematics in order to further his career in Information Technology. Outside of school and work, he enjoys sports such as golf and running. Fun fact, James was heavily involved with Business Professionals of America (BPA) program back in high school where he participated in yearly competitions that were held in business-related academic areas. James was able to participate in regional, state, and national conferences. Jennifer Croy is 17 years old and currently attends Santa Fe College in Gainesville, Florida. Her major is Health Sciences, and she plans to become a physical therapist. Jennifer enjoys reading, dancing, and playing guitar in her spare time. One of Jennifer's favorite quotes is from Abraham Lincoln, who remarked, “The best way to predict your future is to create it.” This quote has inspired Jennifer in her dreams to make a difference in the world. Please see the scholarship terms, conditions, guidelines, and policies for more information. You must apply using your school email address. If your school does not provide one, then you may still apply using your personal email and include a PDF file of your acceptance letter to the Undergraduate or Associates program. We will ultimately need to verify your eligibility upon submission. You can also tweet us a shoutout, or visit us on Facebook!